Brighten up your business meeting or conference with a variety of lighting options from Avista. Brighten up your business meeting or conference with spot lights, stage lighting as well as decor lighting and gobos for a custom look. 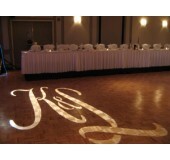 Add a classy touch with a custom gobo projection onto the floor or wall of your event. 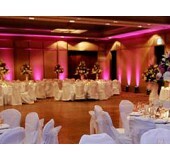 Illuminate speaker panels, podiums and stage elements with our high quality light trees. 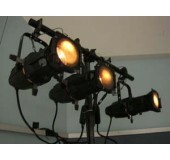 Spotlight or general wash.
Up lights add a sophisticated look to columns and walls, perfect for many events. Many color options.